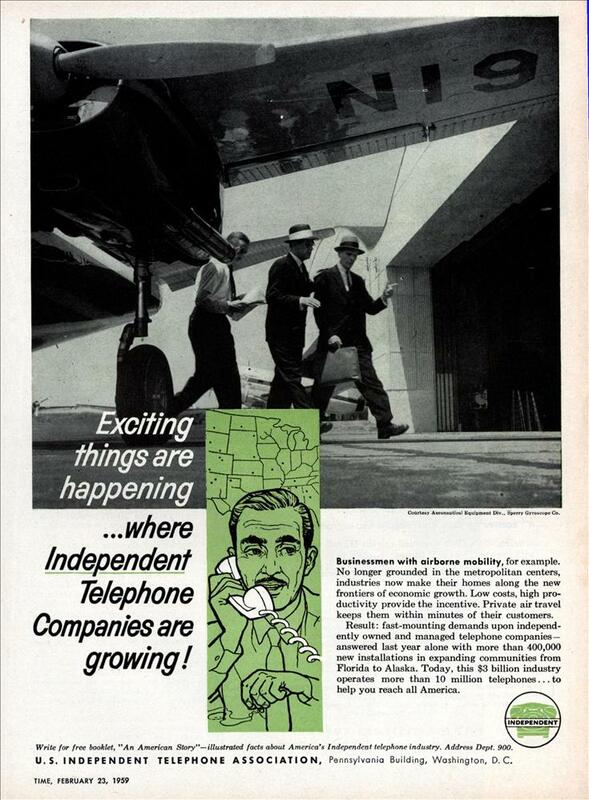 Exciting things are happening… where Independent Telephone Companies are growing! Businessmen with airborne mobility, for example. No longer grounded in the metropolitan centers, industries now make their homes along the new frontiers of economic growth. Low costs, high productivity provide the incentive. Private air travel keeps them within minutes of their customers. Result: fast-mounting demands upon independently owned and managed telephone companies— answered last year alone with more than 400,000 new installations in expanding communities from Florida to Alaska. 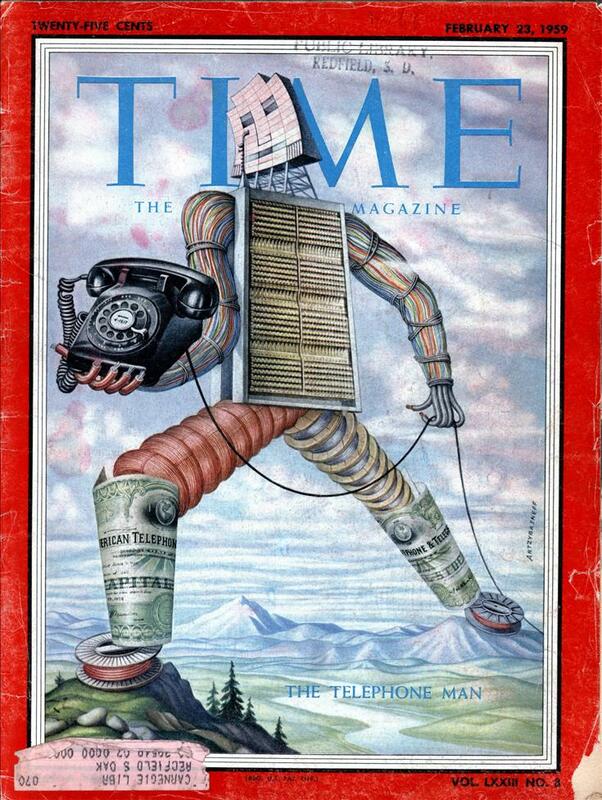 Today, this $3 billion industry operates more than 10 million telephones… to help you reach all America. Write for free booklet, “An American Story’—illustrated facts about America’s Independent telephone industry. Address Dept. 900. U. S.
INDEPENDENT TELEPHONE ASSOCIATION, Pennsylvania Building, Washington, D. C.
And thanks to VoIP, history is repeating itself again! Not that there’s been many success stories aside from Vonage, but it’s interesting how non-landline telecom companies (Comcast, T-Mobile, etc.) have been producing VoIP products as well.